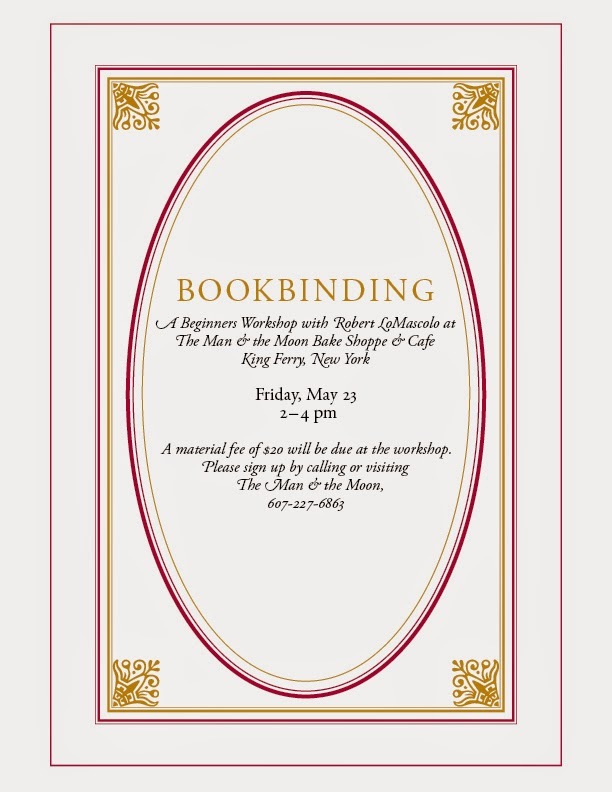 Rob will be offering a Bookbinding Workshop, and having a show of his work at The Man and the Moon Bake Shoppe and Cafe in King Ferry, New York. The Man and the Moon: Friday, May 23, 2014 • 2pm-4pm. 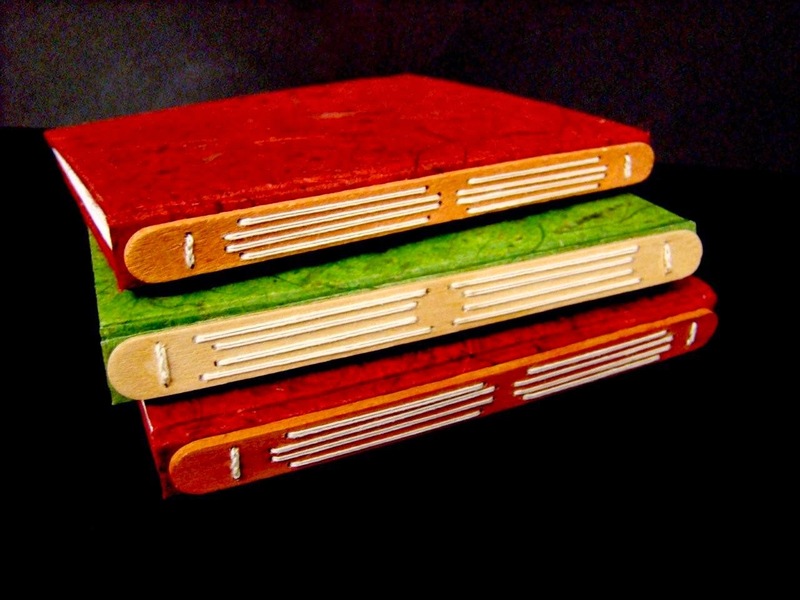 Designer and Fine Printer Robert LoMascolo will teach a hand bookbinding class for beginners. Participants will get to make and bind a blank journal to take home! A material fee of $20 is paid at signup. Sign up by calling 607-227-6863.